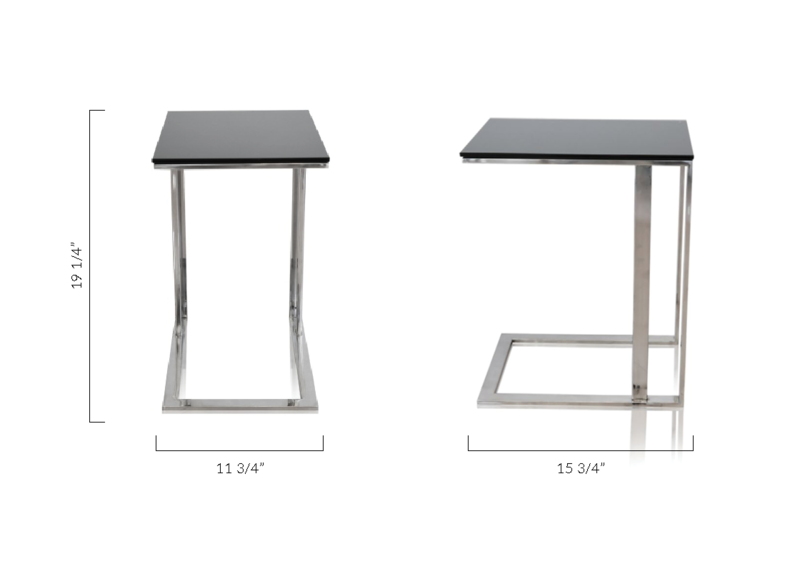 The sleek design of the Khloe Glass Modern Side Table Black makes it an amiable addition to any work space.Fashioned with a silver finish and a black The sleek design of the Khloe Glass Modern Side Table Black makes it an amiable addition to any work space. Fashioned with a silver finish and a black finished table top, the unique and compact design allows this side table to fit within any space. The sleek design of the Khloe Glass Modern Side Table Black makes it an amiable addition to any The sleek design of the Khloe Glass Modern Side Table Black makes it an amiable addition to any work space.